I am so excited to be sharing this news and you guys are in for a real treat! As you know from my blog & social media, I am the biggest fan of Spectrum Collections. Recently, they posted some photos of their NEW products on their Instagram and oh my......they are just stunning! *I'm drooling*. 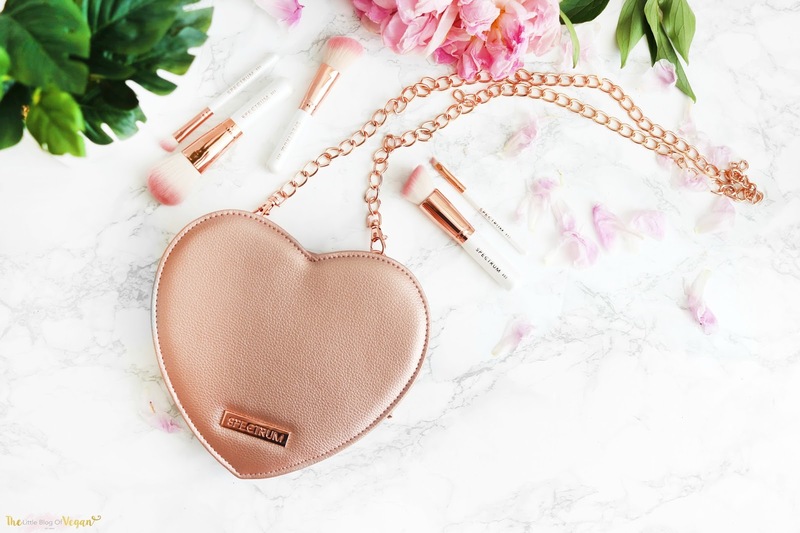 Spectrum is launching 2 new bags with some newly designed brushes, including a large pearl heart bag and a smaller rose gold bag with mini brushes. 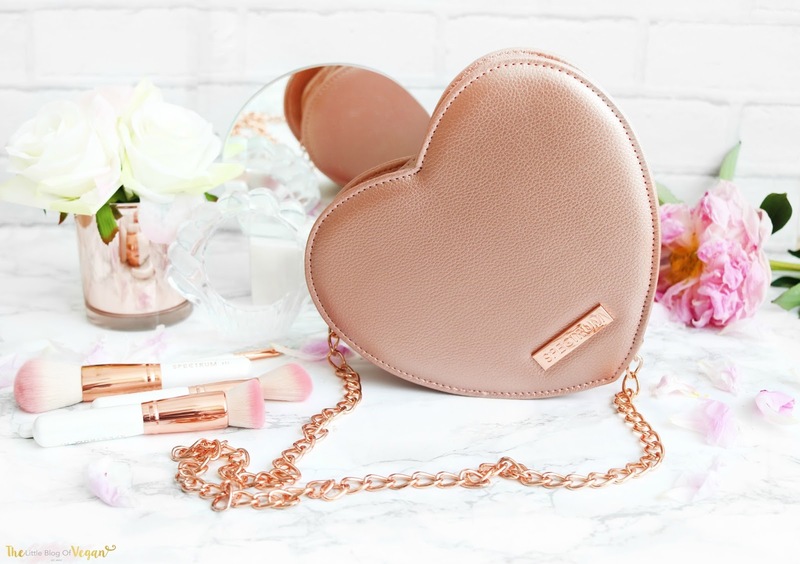 These bags will be available with a choice of 10 full-size brushes in the large heart bag or 5 minis in the adorable (and very classy) rose gold heart bag. 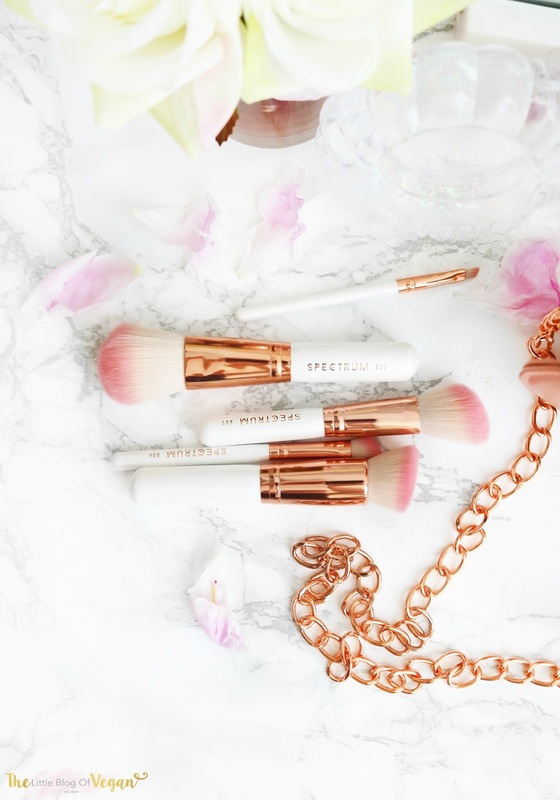 The smaller brushes are the perfect size for travelling and applying makeup on the go. I especially love the pearlescent touch of the handles with the bright pink brushes and rose gold detailing. They are the perfect combo! The mini bag is the perfect size to carry the brushes along with a phone, purse.... essentials for a night out. I can't wait to wear it dressed up to events & special occasions. As I work closely with Spectrum, they kindly sent me one as a 21st birthday present, how sweet is that?! I am soo happy! You'll be able to get your hands on these beauties the end of this month. Launching the end of June 2017.